Please be informed that Changi dojo will not be available from this Sunday 28 Feb to 6 Mar due to the Japanese school graduation ceremony. As such, an alternative training location for this Sunday training has been confirmed and it will be held at the Singapore University of Technology and Design (SUTD) dance studio. 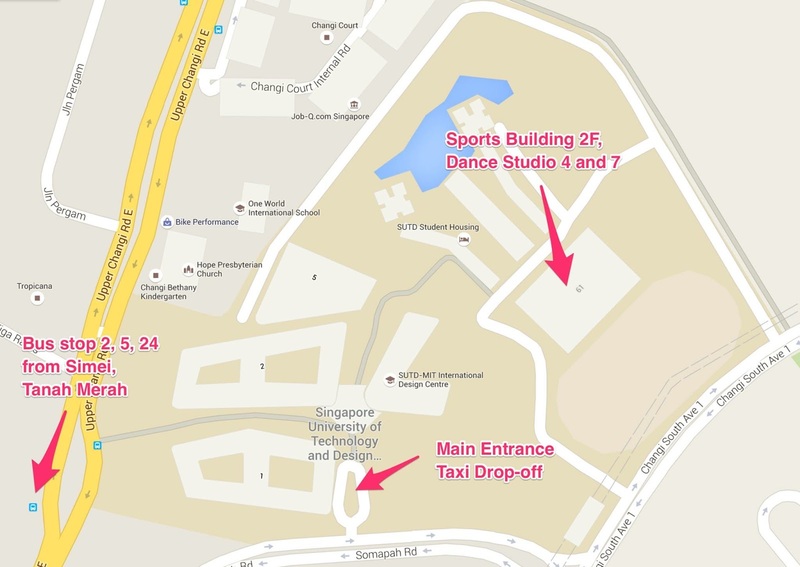 The dance studio is located on the 2nd floor of the Sports Building (Blk 61). Please see map and directions below to SUTD. Please continue to check back on annoucement for updates on training location for next Wed and next Sun trainings.